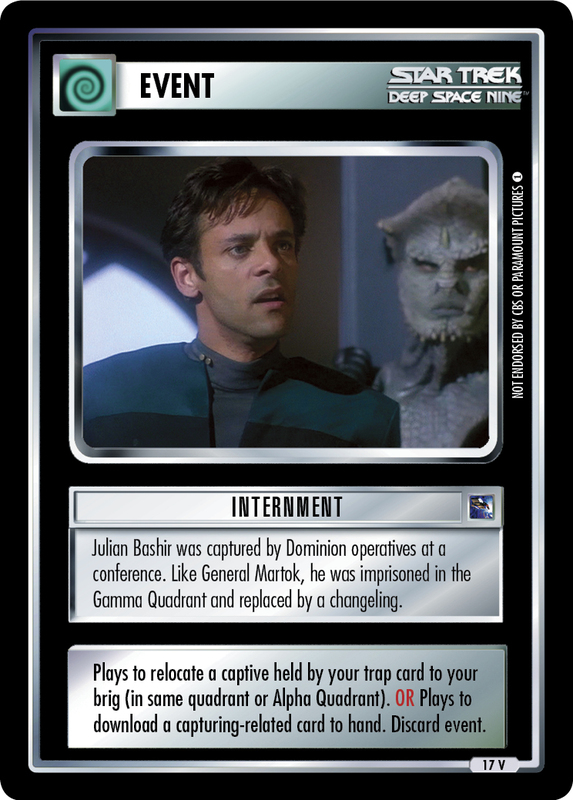 Julian Bashir was captured by Dominion operatives at a conference. Like General Martok, he was imprisoned in the Gamma Quadrant and replaced by a changeling. 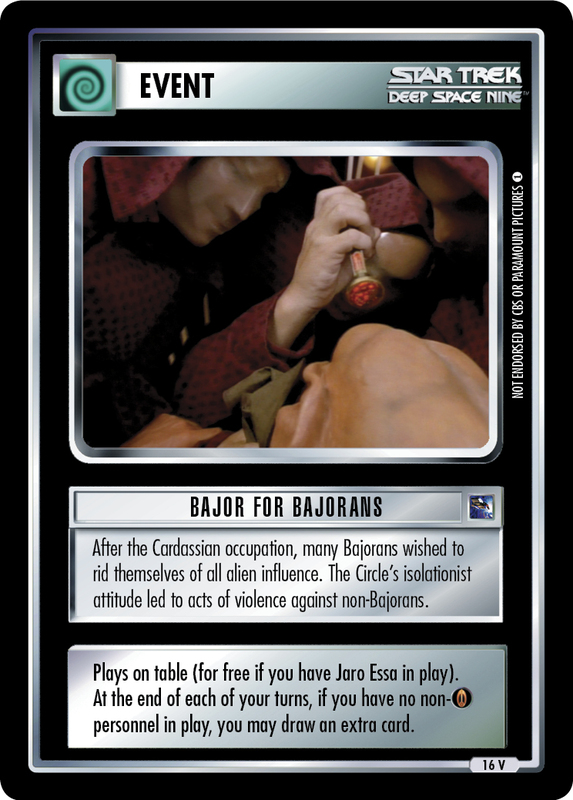 Plays to relocate a captive held by your trap card to your brig (in same quadrant or Alpha Quadrant). 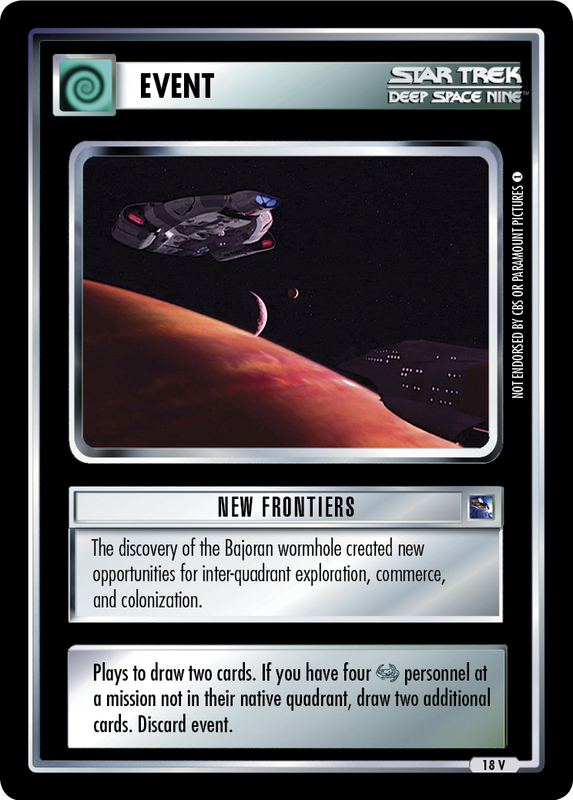 OR Plays to download a capturing-related card to hand. Discard event.